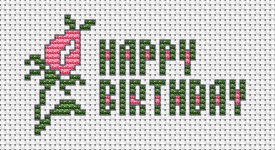 A small design of a rosebud that you can stitch in minutes and turn into a beautiful birthday greeting card. 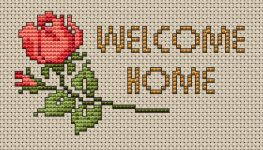 Greeting card with a beautiful red rose for loved ones and friends returning to their home. 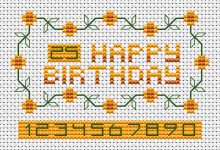 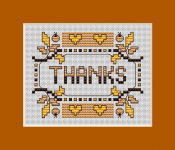 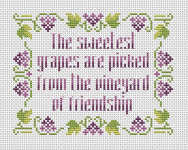 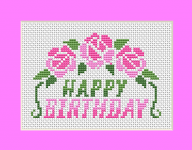 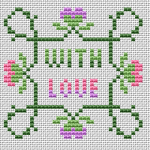 Send a beautiful cross stitch card with birthday wishes to brighten somebody's big day. 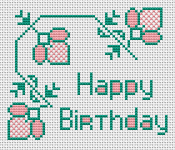 Birthday greeting card with a backstitch font added for numbers from 0 to 10, so you can modify the numbers yourself as you need. 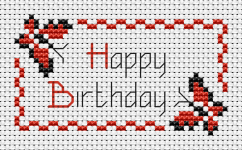 Happy birthday cross stitch card with two playful butterflies.